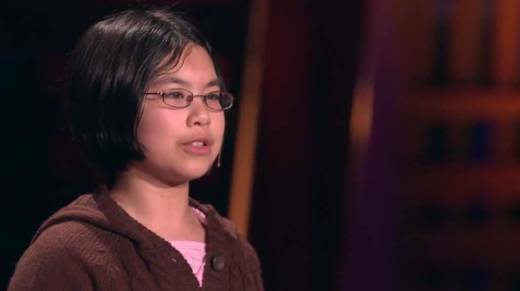 When Adora Svitak was twelve-years-old she spoke on the TED stage, saying she hates the world "childish" if it's being used to describe irrational demands or irresponsible behavior. She said she sees enough of that in the adult world to know it's not the exclusive domain of children. In fact, she made the point that adults could learn a thing or two if they'd only open their minds to the possibility that kids have a lot to offer the world. "We kids still dream about perfection and that's a good thing because in order to make anything a reality you have to dream about it first," Svitak said in a 2010 TED talk. "I think that adults should start learning from kids." "It shouldn't just be teachers at the head of the classroom telling them do this, do that. The students should teach their teachers. Learning between grown ups and kids should be reciprocal," she said. But she wasn't naive; she knew that isn't how many classrooms and schools operate. Her theory is that it's all about trust. Adults always seem to have a restrictive attitude towards kids. "Although adults may not be quite at the level of totalitarian regimes, kids have no or very little say in making the rules," Svitak joked. "When really the attitude should be reciprocal. Adults often underestimate kids abilities. Now we love a challenge, but when expectations are low, trust me, we will sink to them." After that first success, Svitak has gone on to do more impressive things, something she wishes more kids had the support to do. She says it's important for kids to be heard and contribute when they're young so they grow up to become a better kind of adult. "The goal is not to turn kids into your kind of adults, but rather better adults than you guys have been. The way progress happens is because new generations and new eras grow and develop and become better than the previous ones. It's the reason we aren't in the Dark Ages anymore," she said. Check out Adora Svitak's funny and charming TED talk from 2010.